So ladies – do any of you, like I did, see that you have hormones that have gone haywire? Be sure that you have written down which category you fall in from the first post, What Are the Symptoms of Hormonal Imbalance. I’m going to share with you the method I used to balance my hormones and the wonderful result I had! *Red Clover - Red Clover is used for treating menstrual cramps and menopause. It has phytoestrogenic compounds that help to balance hormones. These compound include: genistein, diadzen, formononetin and biochanin. *Fenugreek - Fenugreek contains diosgenin, a phytoestrogen that mimics the effects of estrogen in the body. *Saw Palmetto ~Saw Palmetto works to prevent testosterone from converting into DHT (dihydrotestosterone – a byproduct of testosterone). Take note that you may experience mood swings, tiredness, water retention or early or late periods as your hormones balance, but this is only temporary. Any discomfort is worth the end result! I personally did not notice effects of my hormones balancing to be worth complaining about. I bought these herbs in bulk form and put them in my own capsules to save money, or you can buy them already in capsules to save time. If you buy them in bulk, you’ll need to grind the herbs if they are not in powdered form in a coffee grinder until it’s in powder form. You can buy good quality bulk herbs here. I didn’t just take these herbs, though. For a week before I started the herbs, I applied 1/2 tsp. of progesterone USP cream to my inner thighs or wrist. Progesterone balances the effects of having too much estrogen. (You need this whether you have too much testosterone or estrogen) This prepares the body by preparing your receptors. Be sure to use this a week or two before you start the herbs. And be certain that the progesterone is not synthetic and is USP. My personal favorite natural progesterone cream is Beeyoutiful Balance. I also took evening primrose oil. For many years, Europeans have used evening primrose oil to treat symptoms of PMS. Evening Primrose Oil contains a fatty acid called gamma-linolenic acid, which helps the body balance the production of estrogen. Recommended dosage is 3,000 mg a day. The kind I bought has 1,300 mg, so I took 1 pill twice a day. Click here to buy Evening Primrose Oil. 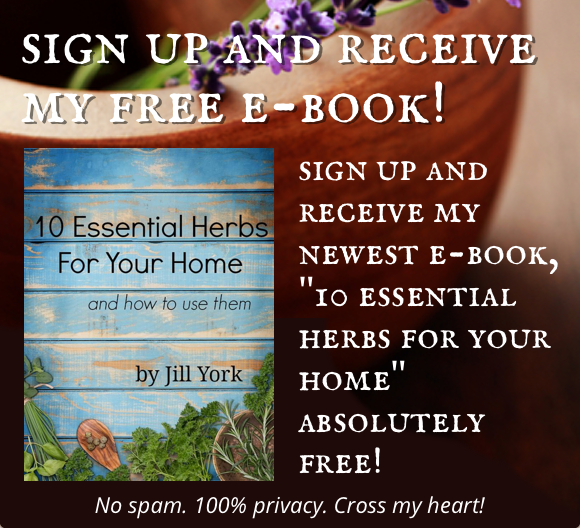 Try to take herbs on an empty stomach for maximum absorption. Take them about every 8 hours so there is a continuous stream in your body. 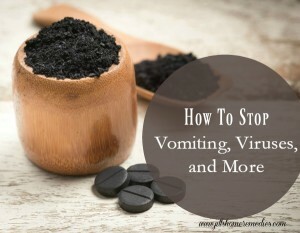 Be sure to not drink anything carbonated a few hours before you take the herbs, as this will interfere with the effectiveness. If you’re addicted to soda :), do your best. These are recommendations to get the full effectiveness. If you know fenugreek doesn’t agree with you, you may substitute it with fennel. 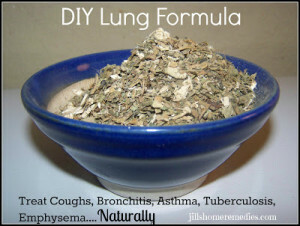 Other herbs that balance are fennel, wild yam, kudzu, licorice and hops. Don’t use all of them, though. That would overwhelm your body. I used the 3 herbs that I listed above, as they are the top ones for hormonal balance, and I had great success. Please don’t buy these at a local supermarket, be sure to buy from a company that produces products of quality. Sadly, many companies add fillers into their product to make more money. If you don’t have good quality, you won’t have the best results! Days 1 and 2: Take one red clover pill 3 times a day. *It’s recommended to take 1,050-1,125 mg. a day – so split this amount by 3 pills. Days 3 and 4: Continue to take red clover and add fenugreek. Take one capsule 3 times a day also. *Recommended amount for fenugreek is 1,800-1,860 mg. a day. Days 5 and beyond: Continue the red clover and fenugreek 3 times a day, and add 1 pill of saw palmetto 3 times a day. *Add two saw palmetto pills 3 times a day if you’re too high in testosterone. *Recommended amount for saw palmetto is 1,620-1,800 mg. a day. How long to do this? I really don’t know! I’ve read that some women take these herbs for 4 months or up to a year. These herbs have other healthy properties and can be taken on a daily basis for as long as you’d like. They are not like a medication that will be harmful if you take them too long. Each person has their own level of unbalanced hormones, so I recommend taking the herbs until at least your symptoms subside. Let’s look at a few of the other healthy benefits of the 3 herbs I took: Red Clover ~ relaxes nerves, fights cancer and purifies blood. Fenugreek ~ helps allergies, digestion, ulcers, coughs and headaches. Saw Palmetto ~ benefits all glandular tissue, helps reproductive organs, and helps the body get rid of excess mucus from the head, sinus and lungs. What results did I have? How do I know it worked for me? Reagan – 8lbs. 1 oz. My beautiful 4th daughter was the wonderful result of balanced hormones! In less than a month of starting this program, I was expecting her. You see, I fell into the category that has infertility as a symptom, and I knew from reading and researching that it was from unbalanced hormones. As soon as I found out I was pregnant, I stopped the program immediately. *Caution – do not do this program while pregnant or nursing. I wish you the best success as you balance your hormones and live a better quality of life! Note – if you would prefer a liquid formula for balancing hormones, try the HB Formula! I get a lot of questions about hormone problems, and there is good reason for that! We live in a world of high stress and poor diet which are big contributors to hormone imbalance. 1. The birth control pill – The pill contains progestins and progestogens, which are man-made, synthetic hormones, and they cause low progesterone levels. These hormones are highly toxic to the body, and besides messing up our natural hormones, they can also cause miscarriages, migraines, heart disease, high blood pressure, cancer and depression. 2. Hormone Replacement Therapy – Hormone therapy is used to ease the symptoms of menopause – but, once again, it contains synthetic progestins which causes confusion with our natural hormones, and they react with symptoms worse than menopause! The side effects of taking this therapy can include: osteoporosis, blood clots, high blood pressure, vaginal bleeding, rash and acne, and weight gain. 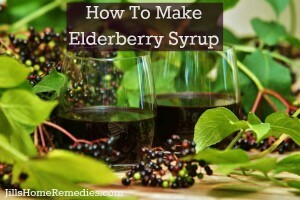 If you suffer from menopause, there are herbs and natural products to take instead! 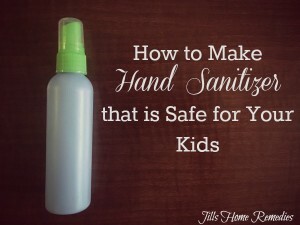 Cleaning Products – you can make your own with safe ingredients, or buy “green” products that don’t use the harsh, caustic chemicals. Laundry and dry-cleaning products – once again, make your own like I do, or buy a “green” alternative. Pesticides – research things you can use instead. Plastics – buy glass whenever possible, and never heat with plastic or use hot foods in them. Cosmetics – many cosmetics contain petrochemicals. 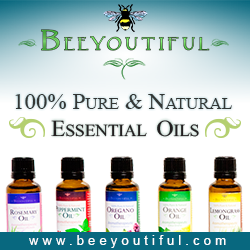 I highly recommend only using cosmetics that don’t contain harsh chemicals like Beeyoutiful Skin. Petrochemicals found in many of the things listed above contain high levels of xeno-estrogens, which mimics the estrogen in your body. They fill up the estrogen receptors so that the good estrogen can’t get through. This throws our hormones off balance! 4. Non-Organic Meats and Produce – Meat you buy that is non-organic are fed estrogen steroids to fatten them up and bring in more money for the company. This causes our estrogen levels to be higher than they should be. Non-organic produce is grown using pesticides, which contains dioxin. 5. 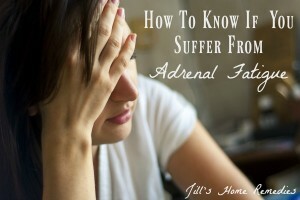 Stress – When we are under a lot of stress, our adrenal glands produce cortisol. If cortisol is too high, it blocks estrogen from getting into cells. Wouldn’t we all like to have less stress in our lives? Do your best to handle situations without piling stress on top! It’s impossible to avoid stress completely in this imperfect world, but work on worrying less and trusting God more. If you find yourself having a stressful day, try one of these herbs or herbal mixes mentioned in this post here. Like I said, it’s impossible to avoid all the negative things in our lives. We can, however, reduce the amount of toxins we encounter, choose healthier foods, and learn to manage stress. Start somewhere and make healthy lifestyle changes one at a time. If you do all that you can, your hormones will most likely work in harmony. After discussing hormonal imbalance these past two days, do you think you may have an imbalance? Synthetic hormones are not the answer! In the near future I will be discussing symptoms and remedies for hormone imbalance. There needs to be balance in most all things – including our hormones. Many women suffer daily with symptoms from hormonal imbalance. 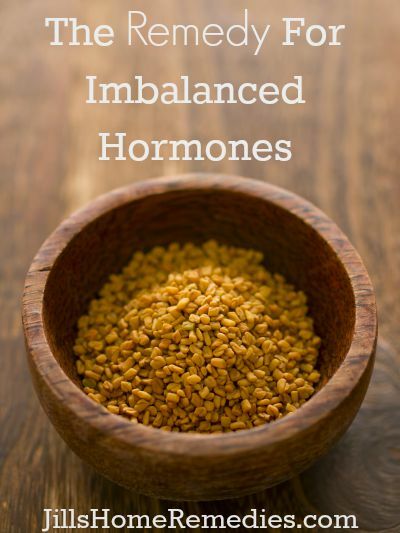 I went on a journey last year to balance my hormones naturally, and it worked! 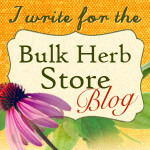 Follow me in the next few days as I share what I did from home to balance myself using inexpensive herbs. *Sudden shift in moods – do you know someone or maybe know that you yourself is moody? Now, we all have different mood swings and those “bad days”, but I’m talking about a person that you never know what mood they’ll be in when you see them the next time. Maybe you try to gauge their mood when you first see them to find out if they’ll smile or bite your head off! :) This person doesn’t want to be this way, but they can’t seem to control it! You can bet your dollar that they have imbalanced hormones! If you have 6 or more of the symptoms listed above, your estrogen is probably too high. If you have 4 or more of these symptoms above, that means your testosterone levels are probably too high.